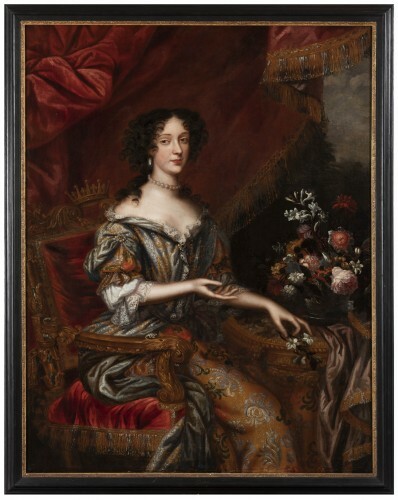 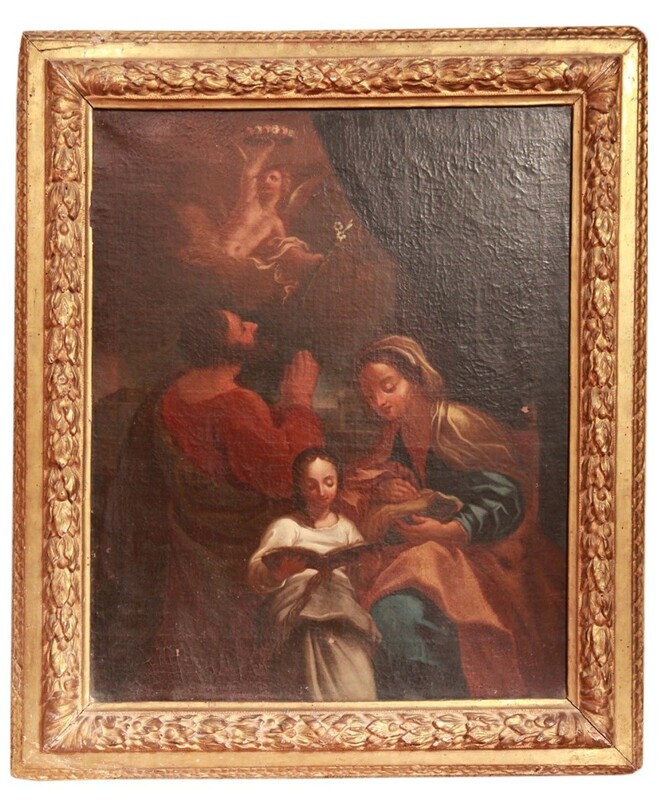 Oil on Canvas 17th C French School. 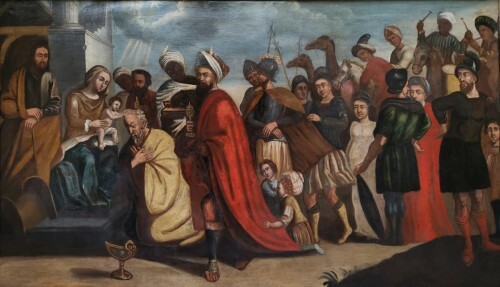 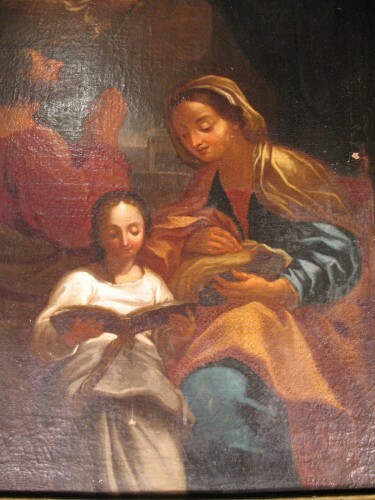 « The education of the Virgin ». 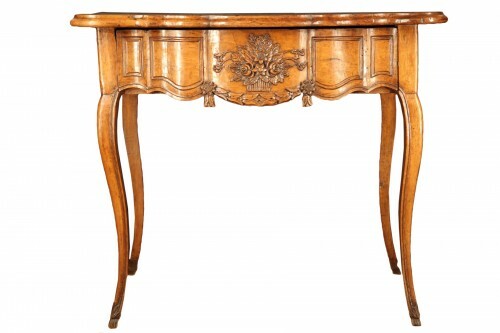 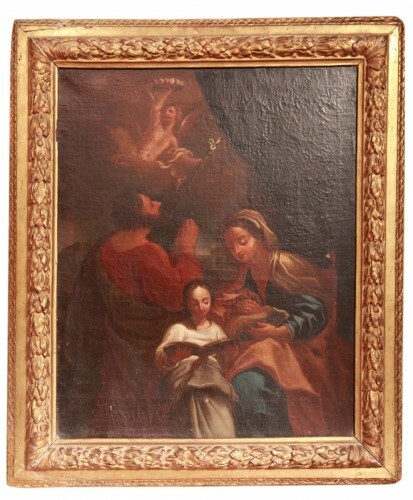 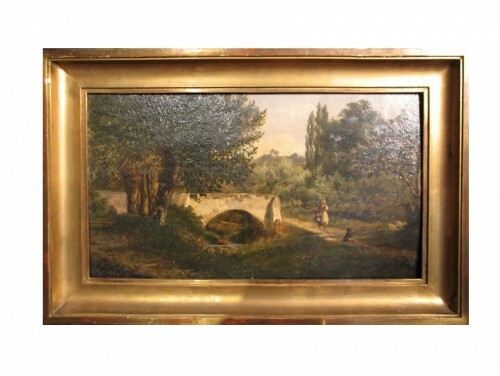 Period gilt wood frame.